After playing the complete failure that was Mortal Kombat versus DC Universe, many DC fans believed that a good fighting game with DC heroes was nothing but a dream. Lucky for fans of fighting games, the Netherrealm studios and DC comics never gave up working together to create Injustice. The Story to Injustice begins in a different universe almost parallel to ours. The Joker has set off a nuclear bomb and killed almost everyone in the city of Metropolis including Lois Lane who was Pregnant with Superman’s child. Batman hastily goes into action by trying to interrogate Joker but Superman bursts in and is emotionally unstable because of the loss of his wife and unborn son. Superman then tries to get more information out of the Joker but all he does is laugh and gloat. In that instant Superman loses the grasp of his good self and kills Joker. This new alternate Superman then takes over the government and overpowers the other superheroes, and a few of the super villains, and then proceeds to take over the world. The voice acting is very good. The characters voices besides Raven’s will be familiar if you watched a show such as Justice League as a child. As a usually unseen feature in fighting games the story mode to Injustice has mini games. These mini games are so terribly easy it’s not funny but the overall the story is very enjoyable but not perfect. 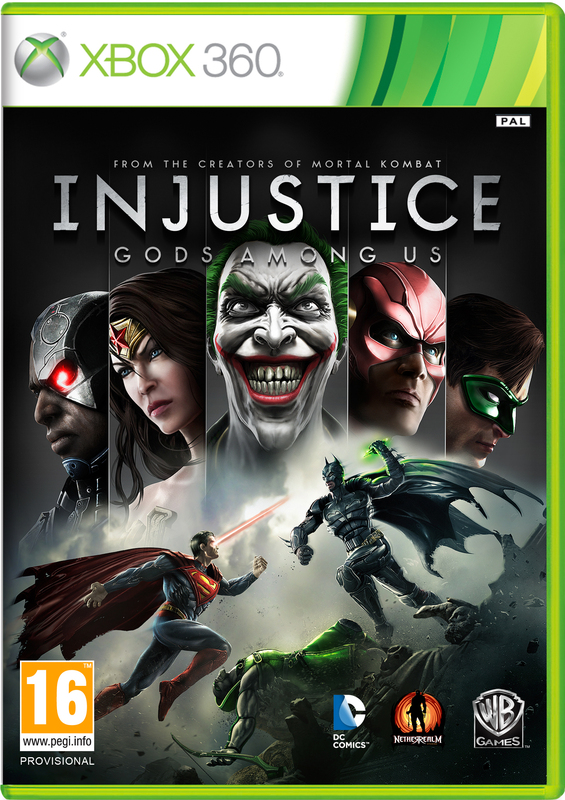 The actual gameplay Injustice is very fun but has a bit of a learning curve if you’re not used to fighting games. There are four attack buttons: light, medium, heavy and character trait. Each character in Injustice has their own character specific trait that gives them their own style in combat. An example being that Superman’s trait gives him a damage boost. Each character only has one super move that takes the entire special meter which gets old after time. The characters walk speeds are slightly slow compared to other fighters and the dashes are only effective when used multiple times. Every character in the game has multiple unlockable costumes (Superman and Batman have more than 10) giving more of an incentive to keep playing the game to unlock them all. To the graphics side of things Injustice has amazing visuals. The combat is cinematic making every punch and throw even more satisfying than the last, which makes learning combos not seem like a chore. Something special to this game is that each stage is totally inter-actable meaning if you see a rocket lying on the ground you can actually pick it up and use it. This game is great, the attacks are brutal and cinematic, the stages are real and actually add more to the combat. Overall this is an amazing fighter worthy of Ps3-4 and Xbox Ones and360’s everywhere.